Practice these 5 tips for getting healthy in the new year and all year long. New Year, New Thoughts….time to take stock, think back on last year, and make plans for the coming year. For many of us that means focusing on getting healthy, or losing weight, in the New Year. Is that one of your goals? It is for me too. My mother died a few months ago and was very frail at the end of her life and needed a lot of assistance. My siblings and I spent a great deal of time in the last year caring for her. We all loved mum dearly, and were more than happy to care for her, but her care was difficult. After my last trip to see her, I made a vow with myself to take better care of myself, mainly so that I would not be a burden to my loved ones when I am older. I thought it would be helpful to me, and perhaps to my readers, to put together a list of some tips for getting healthy this year. For me, it’s not just about diet, although I would like to lose some weight. It is about my general overall health. 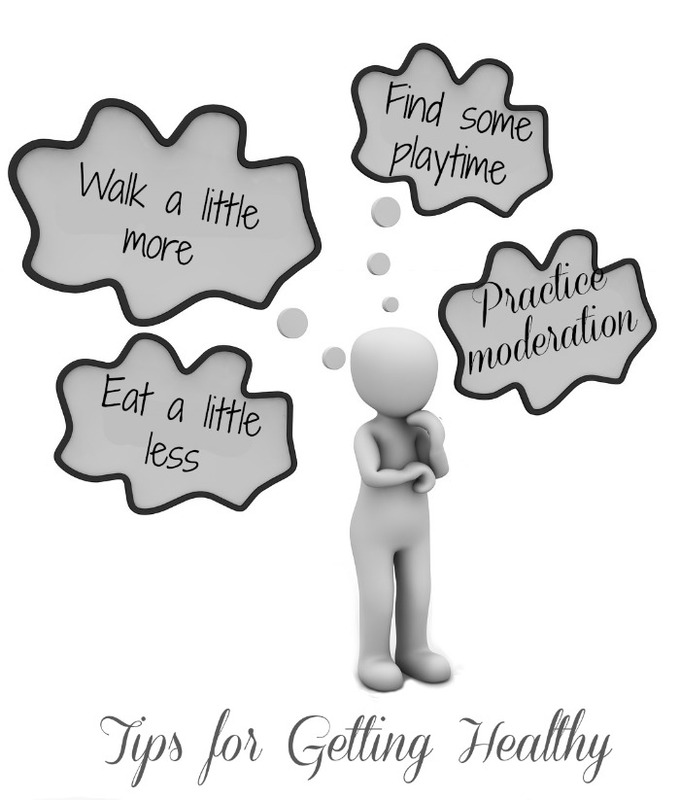 So my question really is this – what can I do to make it easier to live and maintain a more healthy life? For me it is all about what I practice, friends. 1. Practice moderation. I want to walk a little more, eat a little less, be moderate in all things, and spend a bit more time playing instead of working my life away. Four little things that make such a bit difference in the whole scheme of things! Also, I try to spend more time outdoors, instead of inside in front of electronics. This will help me get much more balance in my life. 2. Practice Portion Control. Trying to lose a few pounds does not mean that you cannot have your favorite treats. Just practice portion control. To do this, either purchase individual sized bags of your favorite snacks, or buy larger bags and package them in portion controlled sizes yourself. I regularly buy Fisher almonds and portion them into small baggies. Since I ADORE almonds, it makes sure that I don’t overindulge~ Fresh fruit is already portion controlled! There is very little of it that is more than about 100 calories. 3. Practice healthy snacking. For me, getting healthy means that I’ve tried to cut my intake of sugar way down, and have substituted more healthy snacks in its place. Fruits, nuts, dark chocolate, and home made energy bars and snacks now give me the extra bit of snacking that I crave and all contain fiber that keeps me full. 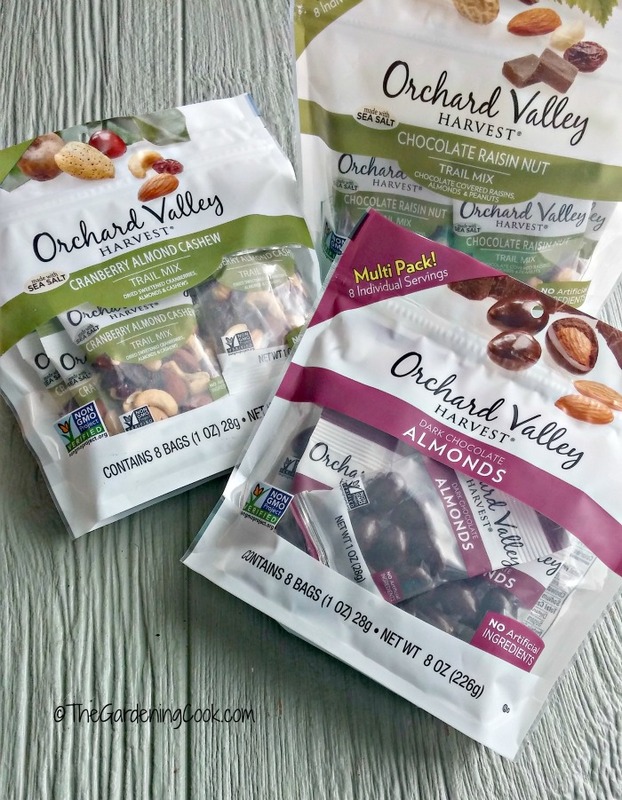 Some of my favorite healthy snacks are the Orchard Valley Harvest snacks. These delicious snacks are a non-GMO snack from John B. Sanfilippo & Son, Inc., the parent company of Fisher nuts. They are a combination of dried, unsweetened fruits and simple nuts in several varieties. The product uses the freshest nuts and fruits that are picked at their peak, minimally processed and have no artificial colors, flavors or preservatives. My favorites are the Dark Chocolate covered almonds. Yum. YES! You can have chocolate in moderation!! I recently had the chance to try out their Cranberry Almond Cashew Trail Mix, Dark Chocolate Almonds and Chocolate Raisin Nut Trail Mix. They come in convenient Grab & Go and Multi Pack sizes and are really tasty. They are a great alternative to impulse purchases like chips and candy. 4. Practice preparation. When it is time to head to the gym are you ready to go, or do you have to scramble to find the things you need for your exercise? 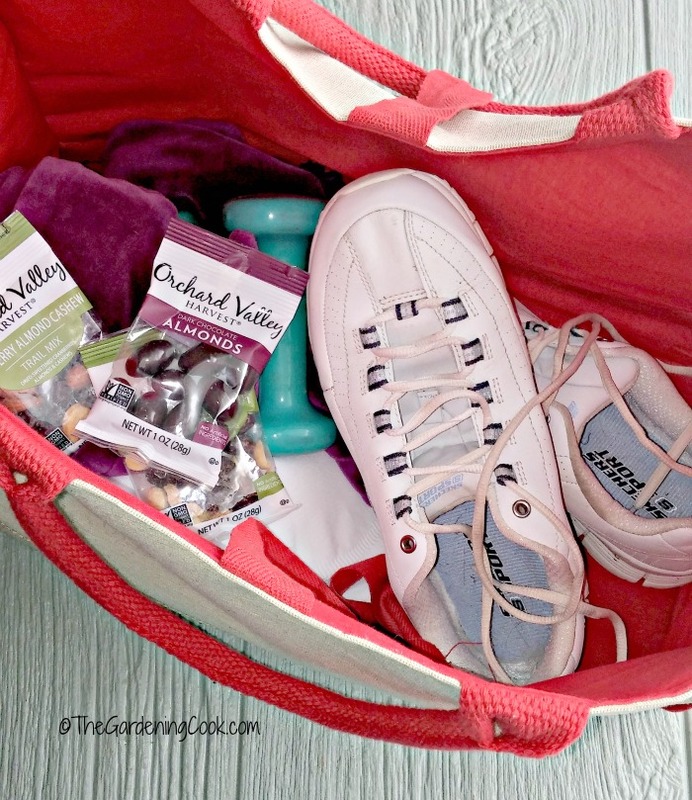 If you have a gym bag already prepared, with your fitness clothes, a sports bra, sneakers, some toiletries and your favorite after work out snack, it will mean that you won’t have an excuse not to exercise today because you unprepared. 5. Practice Healthy Swaps. For me, a big part of getting healthy and fit is not cutting things out, but swapping unhealthy food choices for more healthy ones. There are so many ways to do this. 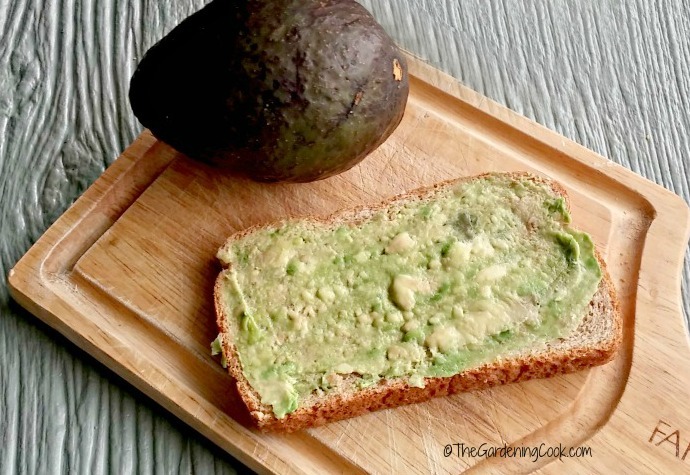 One of my most tasty ones is to use an avocado instead of mayonnaise on a sandwich. Doing this swap means that you add healthy fats, and cut out unhealthy ones. You save a few calories and add a ton of flavor to your sandwich. For more ideas like this one, see my healthy kitchen swaps post. How about you? What is your family doing differently in 2016 to find ways for getting healthy? I’d love to hear about your ideas in the comment section below. I will include some of my favorites as reader tips in this article too! 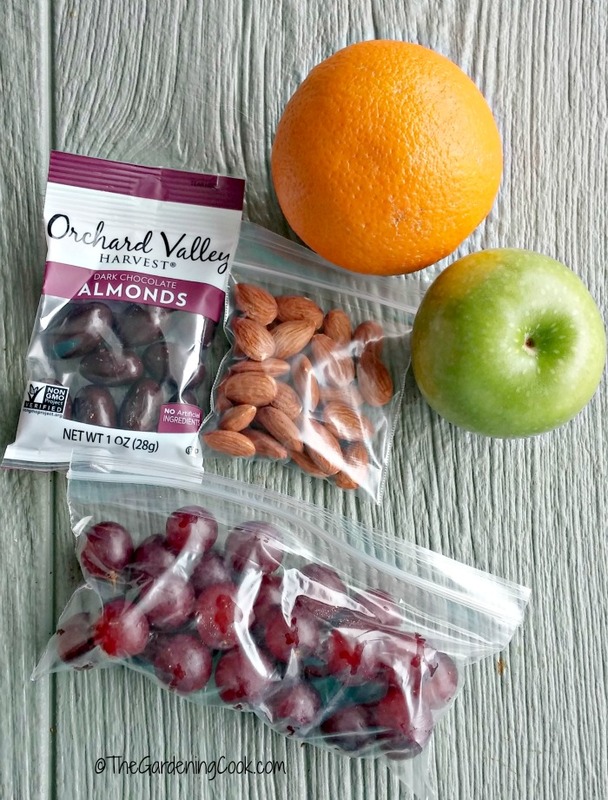 Whether you are looking to feed that sweet or savory craving, to refuel before a workout or take a mid-day break at work – there is an Orchard Valley Harvest variety perfect for you. These Grab & Go and Multi Pack sizes are now available at retailers nationwide. I found mine at my local Walmart in the produce department. They had them for sale in both the multi pack and individual portion controlled size package. Just visit the Orchard Valley Harvest site to find a store near you. Jess says: One thing I always try to do to keep myself on track is writing down what I eat. I find if I make myself write everything down, I’m less likely to cheat and eat lots of bad stuff. I also try to stock my fridge with only healthy things to start. Lori says “Get plenty of sleep!” This really is a very good tip! Thanks for sharing it Lori! Natalie says that her favorite tip is to work out first thing in the morning. That way you will always get a workout in and you won’t be tempted to skip it at the end of the day. Julie W says I make sure to exercise 5 days a week, and I have added weight training to help me be stronger. I’m also trying to work on my health and fitness for this year! One thing I always try to do to keep myself on track is writing down what I eat. I find if I make myself write everything down, I’m less likely to cheat and eat lots of bad stuff. I also try to stock my fridge with only healthy things to start (later on I can trust myself with moderation, but in the beginning I like to avoid the temptation!). Good luck with your healthy pledge this year, and thanks for the great giveaway! Great tips I’ll include them in my post! Get plenty of sleep! That’s my tip! I goofed up on the Name and Address line so if I win please email me for the info. Thanks! The Healthy Swaps tip is a great one, and has probably been the most important part of our successes so far this year. We’ve really worked at substituting good things for any junk we’re prone to eating! My favorite tip is to drink plenty of water! It makes such a difference. My favorite tip is to work out first thing in the morning. That way you will always get a workout in and you won’t be tempted to skip it at the end of the day. Eat breakfast EVERY day and make sure to drink plenty of water! Eat plenty of healthy fats (lard, yes, lard – but homemade lard, not the preserved ones they sell in stores) and coconut oil (I’ve actually lost a LOT of weight doing this and have kept it off for over two years)- and get some exercise – like walking every day!! Keep moving, be active. Do something everyday. Don’t miss a day even a little is better than none. My hands down favorite tip is go Paleo! I’m on autoimmune paleo, so it’s a little more extreme, but it’s completely given me my life back after years of debilitating pain and fatigue! I am moving more by adding minutes to my daily walk. I try to eat healthy and do fairly well with it. I make sure to exercise 5 days a week, and I have added weight training to help me be stronger. And of course eating plenty of healthy fruits and veges is so important! weight training is a good tip. Great tips! I agree about drinking lots of water– SO important! Our plan for a healthier year is to stick to whole foods. I like the tip to practice healthy snacking. I only buy healthy snacks like fruit or popcorn so there is less temptation. My favorite tip is Get plenty of sleep. Getting outside and walking every day. My favorite tip is to stop midnight snacks – hard habit to break! Maintain a happy attitude! And take a walk. And get enough sleep. And drink plenty of water. My favorite tip for getting healthy is eating less processed foods. Eat lots of vegetables to fill yourself up! When you are happy, you are healthier, so remember happiness is a state of mind. My advise would be to eat junk, not fruit! Alo when going to the store park way in the back to get those extra steps in! TO drink water, eat more raw fruits and veggies! My favorite tip for getting healthy in 2016 is to eat more plant-based food. I make sure to drink plenty of water and eat healthier. Eating more organic veggies or food in general, avoid GMOs, drink lots of water and reduce stress with fun activities. My tip is to fill up on water and not sugary foods! My favorite tip for getting healthy is to drink more water! I personally have been cutting back on sodas and drinking water with my meals. My tip is to bike to work instead of driving if you live close enough! I’m working on getting more sleep – important for health and weight loss. Drink more water and do not drink soda. To drink plenty of water and cut out as much sugar as possible! My tip is to exercise regularly and have plenty of healthy food around so you don’t go for the not so healthy stuff! My favorite tip for getting healthy in 2016 is Walk a Little More. Thanks for the giveaway! Making sure to get enough liquids. My healthy tip is to drinks lots of water and fruit juices. My favorite tip is to get plenty of sleep. Find a friend to exercise with. I drink lots of water and eat a lot of fruit and veggies. Add more fresh veggies to your diet. Lemon water in the morning does wonders! My goal is to eat less processed food and more fresh fruit and veges. 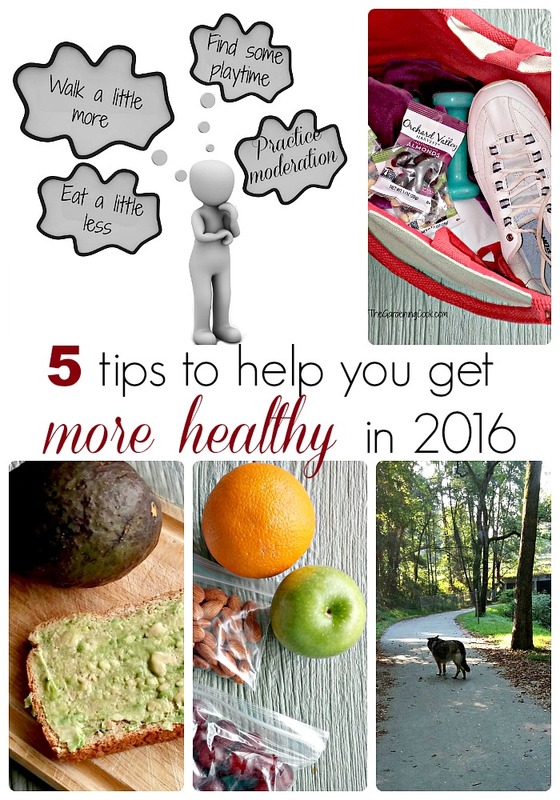 My favorite tip for getting healthy in 2016 is EVERYTHING IN MODERATION. That has been my new years resolution for many years. It does work. My tip is to get in more steps! I love tracking my fitness. Seeing it in black and white motivates me. My tip is that it is a good idea to keep track of what you are eating. It can be a very helpful practice! My tip, would be try to walk more. and drink more water. those are two areas that I’m not great at! My favorite tip is to drink more water and to grow my veggies in my container garden since I can not plant in the ground. I know my veggies are better than what I buy at the store. My tip is make better snack choices, and as always, drink plenty of water! Thanks so much for the opportunity! We loved the taste of them. The ground turkey really takes on those Mexican flavors well. I have been walking everyday with my husband. Drink plenty of water for sure, it really does help! Esp. when making you feel fuller if you drink before a meal. Find exercise you love to do and do it frequently. I love swimming and swim 3 times a week. I like to eat lots of fruits and vegetables (I’m vegan), drink lots of water and do yoga to try and stay healthy and fit. My goal is to focus on getting enough protein and fiber in my food. This way I actually feel satisfied after eating. My tip is to drink a lot of water and eat fruit at every meal! It will fill you up! Drinking plenty of water and getting plenty of rest as you can ! Move more! Walk! Take the stairs, park farther away! It really does work! My tip is to drink a glass of water whenever you feel hungry. It may turn out you were actually thirsty and not hungry after all. Drink water and mucho excercise and good food! Drink more water – carry a cup/bottle and when it’s empty fill it back up! To drink more water, to eat more slowly and to get out and move. Walking and gardening are too great forms of exercise. My best tip is to stay hydrated. Chose to drink a lot more water! Thanks so much for the chances to win. Two tips that have helped me – first, get plenty of sleep. And second, eat on a regular schedule. Don’t wait until you are feeling hungry because you tend to eat quickly (and too much) before giving your stomach time to recognize that it is being fed. I’d say getting rid of junk food in the house! Also drinking plenty of water! work out every day. no matter what.. just do it..
My favorite tip for getting healthy in 2016 is getting more sleep, exercise, and healthy meals! Always make sure you’ve got some healthy choices available to you – at work, at home, while traveling – so you’re not stuck making the best of a bad situation and having to settle for less then ideal food/snacks. Eating more fruits and veggies and drinking lots of water. I find that if I workout doing things I love like a hip hop zumba class take, I feel better mentally and physically. I also do yoga and kickboxing but don’t enjoy it as much but still feel stronger. Drink water, water and MORE water 🙂 Hydration is key! Don’t bring junk food in the house, you can’t be tempted if it ain’t there! I would say take the stairs.